Get your tee today and join the protest! 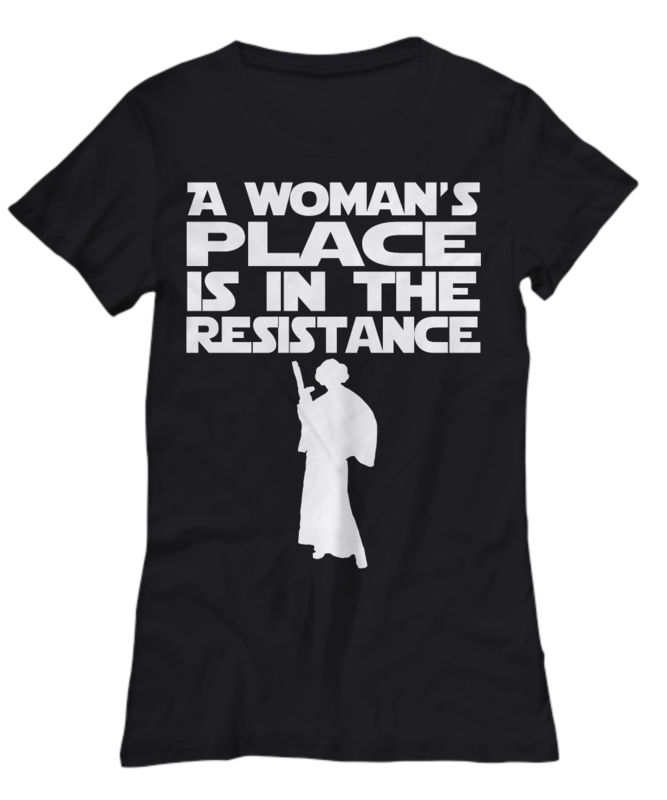 I love my A Woman's Place is in the Resistance T-shirt. I'm also thrilled with gearbubble customer service. The first shirt I ordered had a small flaw and gearbubble immediately sent me a replacement. I truly appreciate how fast they took care of the problem and love my new shirt. It's made from great material and the message is timeless. Very much love the shirt! I wore it today and got several smiles and a few comments. Thank you so much for sending me a larger size. I ordered one that was too small and had no trouble at all exchanging it for the larger size. I'm going to wear this shirt a lot. Thanks for your great service. The customer service is fantastic! I knew when my order was received, when it was being made, and when it shipped. The shirt does run small though. I usually wear a 1x and I ordered a 2x. It just fits. I have bought other items from GearBubble and have liked them as well. i plan to order from them again!